The Islamic Republic of Iran, since its founding in 1979, has had an ideology that seeks to "export the Islamic revolution" -- if necessary, by force. Despite what President Obama likes to say, it is not true that the agreement "permanently prohibits Iran from obtaining a nuclear weapon" or "cuts off all of Iran's pathways to a bomb." This agreement means the U.S. has accepted that after 15 years, or sooner, Iran may build as many bombs as it likes. Iran is not a country busy trying to preserve its own sovereignty. Iran, instead, undermines other countries' sovereignty. Iran's regime is extremely pragmatic: it sees that its survival is not, threatened no matter what it does. It sees -- as does everyone else – that transgressions are, in fact, rewarded. Why does the U.S. wish to allow a regime that wants to destroy America's closest Middle East ally to acquire more advanced conventional -- and later, nuclear -- weapons? Why would anyone allow a country that gives missiles to terrorists to get hold of intercontinental ballistic missiles (ICBMs)? If this agreement were about peace, why does Iran need more weapons? If Iran wants peace, why don't they scrap their missile program and stop supporting terrorist organizations? If Iran wants peace, why does it want missiles that can reach other continents? Hitler duped Chamberlain and presented himself as a man of peace. No one has duped President Obama. The mullahs openly say "Death to America." Does Obama not know at whom the Iranians will point their nuclear-tipped ICBMs? In the worst-case scenario, walking away from the deal still leaves the world in a position of deterrence that offers it better choices -- before Iran becomes nuclear, not after. If someone had asked you a year ago what would be the most efficient way to cause a major war in the Middle East, you might well have said: Giving the mullahs in Iran the opportunity to get advanced conventional weapons, ICBMs, nuclear weapons and tens of billion of dollars to fund terrorist organizations and destabilize other countries in the region. You might have argued that a regime that does not hesitate to attack targets in Washington or Berlin might not be the most prudent one to shower with gigantic quantities of money and the deadliest weapons. If one knows anything about the regime in Iran, it is difficult to understand how U.S. President Barack Obama's agreement with Iran could create anything other than chaos and war in the Middle East. The content of the Iran nuclear agreement creates the perfect conditions for a major war in the Middle East -- one that could spread and start a major regional conflict. Despite what President Obama likes to say, it is not true that the agreement "permanently prohibits Iran from obtaining a nuclear weapon" or "cuts off all of Iran's pathways to a bomb". The agreement means that the U.S. has accepted that after 15 years, or sooner, Iran may build as many bombs as it likes. The Islamic Republic of Iran, since its founding in 1979, has had an ideology that seeks to "export the Islamic revolution." The phrase is not just a catchword for the mullahs. They have done it in practice, if necessary by force. After coming to power in 1979, the leader of the revolution, Ayatollah Ruhollah Khomeini, called on the Shi'ite Muslims in Iraq to revolt and establish an Islamic republic. The mullahs' effort to export the Islamic revolution to Iraq was one of the causes of the Iran-Iraq War, which lasted eight years and resulted in possibly a million deaths. Despite intense resistance from Arab countries, Khomeini's Islamic revolution has been successfully exported to Lebanon, Gaza, Yemen, Syria and Iraq. Iran is not a country busy trying to preserve its own sovereignty. Iran, instead, undermines other countries' sovereignty. In the case of Israel's, the regime in Iran is threatening the nation's entire existence. Even more astonishing is that the president of the United States gets peevish -- and threatens American Jews -- when Israel's prime minister reminds the public of that. The regime in Iran has carried out terror attacks against Americans in Lebanon and in European cities. A German court has stated that Iran's supreme leader, Ayatollah Ali Khamenei, organized terrorist attacks in Germany. Several times, Iranian agents have been arrested in Europe when they were attempting to organize terror attacks. Iran was behind the World Trade center attacks. As late as 2011, Iran planned to assassinate the Saudi ambassador and attack the Israeli and Saudi embassies in Washington. Iranian forces, both directly and through Hezbollah proxies, have been responsible for over 1,000 American military fatalities over the last decade and a half. Iran has continuously backed the Lebanese terror group Hezbollah, providing it with money, training, and weapons. Iran's regime is, contrary to rumors, extremely pragmatic: it sees that no matter what it does, its survival is not threatened even slightly. Iran's regime sees -- as does everyone else – that even the worst transgressions are, on the contrary, rewarded. The regime is simply following Khomeini's original ideology to "export the revolution" and to fight against Western influence, which he called "Westoxification." Iran's regime has always done what it says it will do. Experience shows that when the mullahs in Iran say "Death to America," they mean it with actual and real consequences. When the mullahs first shouted "Death to America," a slogan that started in 1978-1979 in response to American support for the Shah, they followed that up by having the Iranian-backed Hezbollah kill 241 American soldiers in Beirut on October 23, 1983. Iran then continued to ensure that Americans died in Iraq and Afghanistan during the Iraq- and Afghanistan wars. In the same vein, when the Iranian regime shouts "Death to Israel," it sends weapons and resources to Hamas and Hezbollah, while organizing a conference for the world's anti-Semites who deny that the Holocaust happened. This is the Iranian regime with which the current U.S. administration would like seal a deal, under which Iran will, after 10-15 years -- or sooner -- be legitimately able to enrich sufficient quantities of uranium to produce many nuclear weapons. For each of the 36 years the Iranian regime has been in power, despite strong resistance from Arab countries, Turkey, Israel and the United States, its influence and ambitions have increased. There is no reason to think that with an infusion of $150 billion, the regime in Tehran will not be even more aggressive and proceed to build its nuclear bomb. The regime in Iran has demonstrated no plans to become less militant, create a democracy, or even to release the American hostages it continues to hold on trumped-up charges in unspeakable Iranian prisons. Part of the regime's triumph even seems to consist in humiliating the United States as exhaustively as it can. The P5+1 (China, France, Russia, the UK, and the US; plus Germany) have agreed that Iran can buy conventional weapons after five years, and ICBMs after eight years. But why would any civilized nation allow a country that arms terrorist groups such as Hezbollah and Hamas to buy advanced conventional weapons? They will simply be passed on to Hamas and Hezbollah. Iran does not even deny that it supports Hamas and Hezbollah. Iran already has missiles that can reach Israel and parts of Europe. Iran already has supplied missiles, such as the Fajr 5, to Hezbollah. Why would anyone allow a country that gives missiles to terrorists to get hold of ICBMs that can be fired from one continent to another? It is also Iran's official government policy that Israel should be destroyed. Why does the U.S. wish to allow a regime that wants to destroy America's closest ally in the Middle East to get more advanced conventional -- and later, nuclear -- weapons? If you listen to the mullahs in Tehran, Americans and Israelis are the targets. Therefore, these conventional weapons will be directed against the Americans and Israelis, wherever they are. That the mullahs, thanks to this deal, will get $150 billion is not rational. When a country or organization supports terrorism, you freeze its assets. Iran continues openly to support terrorism; this deal gives Iran access to $150 billion dollars to support more terrorism. Under the agreement, the International Atomic Energy Agency (IAEA) can inspect only Iran's declared nuclear facilities -- and that only with a 24-day delay, in addition to having to disclose to the Iranians what evidence has caused the site to be inspected. The IAEA, however, even at its best, has never found anything. Iran's secret nuclear program was discovered by an Iranian opposition group, the National Council of Resistance of Iran (NCRI), in 2002. There is nothing that says Iran will not have more secret nuclear programs unavailable to the IAEA. The entire agreement is based on these mullahs showing goodwill towards the West, which they no doubt see as a threat that could lure their people away from the righteous course of Islamism. President Obama's approach seems to be based on the hope that one of the most fanatical regimes in the world will suddenly become honest and peaceful -- that the same regime that shouts "Death to America" will actually present all its military installations and secrets to its archenemy, the United States, through the good offices of the IAEA. Let us not ask President Obama to care about all those wrongly imprisoned, tortured and hanged in Iran every year. Let us not ask President Obama to care about Iranians who would like the same democracy and the freedom they begged him for in 2009. President Obama needs only to maintain peace and stability in the Middle East. But allowing these mullahs to get advanced conventional weapons in five years, ICBMs in eight years, and nuclear weapons in 15 years -- or sooner -- is to create the conditions for a larger regional conflict that, in this era of globalization, will surely spread to the West. If this agreement were about peace, why do the Iranians need more weapons? If Iran wants peace, why don't they scrap their missile program and stop supporting terrorist organizations that want to destroy Israel? If Iran wants peace, why does it want weapons that can reach other continents? Which country is threatening Iran's sovereignty today that makes Iran want more advanced weapons? If anyone has ICBMs and says "Death to America", what do you think he will do with those ICBMs? There are those who compare the Iran deal to the Munich Agreement of 1938. The Iran deal is much worse. Hitler duped Chamberlain and presented himself as a man of peace. No one has duped President Obama. The mullahs openly say "Death to America" and "Death to Israel," and have backed up their words with actions. It was the Iranians who helpfully exposed inconsistencies in the nuclear deal, which the U.S. government had presumably hoped to hide from Americans, such as two side-deals Iran has with the IAEA. Why would an American president do this? Does he not know at whom the Iranians will point their ICBMs? This deal, combined with the expansionist policies of the Islamic Republic of Iran, can only lead directly to the biggest war of the 21st-century -- Obama's War, even if he is not in office any more. The mullahs will not start loving Israel. The Saudis, Turks, Egyptians and Emiratis are not just going to sit and watch Iran get nuclear weapons. No Arab country wants to be the next Syria, Lebanon, Yemen or Iraq, and Israelis have no desire to be, as threatened, wiped off the map. The alternative is to walk away from the deal. Instead of a major war becoming the only scenario, the worst-case scenario would become a limited bombing campaign now to prevent the Iranian regime from obtaining nuclear weapons. Even if the results lasted, as critics charge, "only" two or three years, at least Iran -- and global onlookers -- would understand that there are real consequences for rogue behavior; and that there could always be further rounds later, if needed. At the very least, massive damage to select nuclear facilities would not be seen as a reward. In the worst-case scenario, walking away from the deal still leaves the world in a position of deterrence that offers it better choices before Iran becomes nuclear, not after. Even no deal with Iran leads to a more peaceful and stable Middle East than President Obama's bad deal. Nima Gholam Ali Pour is active in the pro-democracy organization CENTIA, and is a member of the board of education in the Swedish city of Malmö. In 1983, a U.S. Marines barracks was attacked by terrorists from Hezbollah, who were backed, supported, and directed by Iran. A Persian-language statement that described the original agreement with Obama had a number of inconsistencies with the English version, some of which go completely against the agreement itself. Valid points. You mention stopping Iran from aquirring weapons, how would you do that? Blow them up? If sanctions have not stopped nuclear development, what's next ? I agree that the Iran deal is a bad deal. Why would Obama make a bad deal when I thought the U.S. has a policy that says; U.S. does not do business with terrorists and the U.S. always come out with evidence that Iran supports terrorists? Muslims are always committing suicide just to kill what they call their enemies. I believe that Iran will some day become nuclear with devastating consequences. Iran and Russia are dangerous and are known to be the cause of civilian deaths, for example; the passenger jet that was shot down by a Russian weapon in or around Ukraine. Iran should be stopped harshly and maybe there will be a viability in the Middle East. Look what Russia is doing now just because they are nuclear, they seem to be taking advantage of it and the U.S seems to be intimidated all though they say they would not be. If we are to stop terrorism, we should start at the center of it all (Iran) before it is too late for man kind. Iran don't care, they say that killing yourself in war is an honor from Allah(God) because it was a good deed. In most respects I believe Americans agree with your points above -- generally speaking that the Iran Deal is not a good one. Your article indicates that countries such as Saudi Arabia and Turkey will not tolerate a nuclear Iran, but what do these countries do to limit Iran? Saudi Arabia and Turkey boast of two of the stronger military's in the Middle East and yet they ultimately want the United States to do the heavy lifting to combat Iran aggression. Shouldn't neighbors, whom many share the same religion, stand up to the extremists in the region? The Bible states that the people of the Middle East are a "quarrelsome people". There is no disputing that claim past or present. With that being said, Americans and Westerners understand this and always approach interaction in the Middle East with suspicion/caution. God bless Israel as they are geographically in a tough location-I understand and support their position related to Iran. In conclusion, I believe we will always support our allies in the Middle East, but it's time for the good neighbors in the Middle East to step up to the plate. Power in numbers is a recipe for success. Hoping for the US to solve the problem from a world away is not the best solution. I remember fellow engineering support personal and their families getting out of Iran, leaving all their possessions behind. Western consulates under lock down for over a year. Iran BRAGGING about up-grading the Hawk air defense systems we left them. Stating their ballistic missiles can fly over Cairo, Egypt. We must be stupid to agree to easing up on Iran !!! Mr. Obama is a do-gooder. His belief is we can all get along. However the reality is that sooner or later the planetary scourge of Muslim extremism will have to be addressed in an act of cleansing, the "glass table effect." If the radical mullahs can't see this they are even stupider then I believe them to be. If they were to launch an attack such as you describe they would have only a couple hours left on this planet. Believe me, there is a lot of popular support for that reaction now much less if they did something like that. One submarine could handle the job of turning the whole region into a glass table. One cannot negotiate with socialists, communists, terrorists or theocrats. Iran supports terrorists and is a theocracy. End of story. Please let everyone read this article. It is very informative and an eye-opener. It needs to be published all over the United States so Americans will know that this Iran deal will endanger their lives, and that they should act now to prevent a third world war that Iran can cause with the Iran Deal. Why is Obama trusting Iran whose leader has for many years said in public: " Death to America" ? Do you think it has something to do with money for him????? Under President Obama, the U.S. has become a country that our enemies no longer respect. It seems he cares little about what others have to say, be it all the other members of government or the people. He seems to have an agenda that is counter-productive to the principles America was founded on. He has uplifted our enemies and turned his back on friends. He has gone mute as thousands of Christians in the Middle East are murdered for their beliefs. He has created sanctuary cities and stands by as thousands of illegals pour over our southern border. The only hope I see is when he leaves office and new leadership tries to right the ship that he has damaged. This is exactly what I thought would happen all along! Perhaps Trump is correct. "Our country is run by very stupid people" I see only one alternative and we need do it as soon as possible! Why does Barack Obama want to give Iran 150 billion dollars when Iran has not paid one cent to the hostages they won in court millions of dollars. Pay them first before giving them the money. Make no mistake -- giving the Iranians freedom to grow their nuclear capabilities and funding them into the bargain is an error of massive proportions. If this folly is not stopped now, our children will be paying for this for generations to come. Wake up America. Two myths that plague the political conscience and decision making. One must ask why does President Obama believe that an accord that gives Iran exactly what it wants for nothing in return consist of a good policy? Especially when one of Iran's long term goals from ayatollah to Ayatollah and the Umma or Nazi Party Tehran aims to colonize the rest of the world under the Sharia law jackboot. First, President Obama's impressions of Islam were formed in his early childhood and are idyllic fantasies, and he submitted himself to years of black liberation theology that is biased towards Islam. It is in the character of the man to embrace the fallacies inherent in the Islamic nightmares of the Ayatollahs. But there are two myths that are even greater than the false propaganda that the American slave trade was crueler and worse than that practiced in Islam which was also racist and tended toward victimizing blacks. Or that the Islamic State has nothing to do with Islam. Al Jazeera ran an article on the USS Liberty recently, attempting to revise anti-Israel sentiments through that one act. I am a veteran and as a openly pro-Israeli American, I often have to address angry Vets from that era that are convinced some how, that Israel's one act was the ultimate evil and seem blind to actions like Khobar Towers. Iran still has not offered to pay any restitution to those service members Israel has. Israel did not promote to my knowledge the IAF officers who directed the attack on the USS Liberty, the ayatollah's promoted their Holy Warriors that died in the Khobar blast to paradise commending them as martyrs and jihadis. Beirut is another example of Iran's intentional violence against American forces. And as this article notes, Iran is directly responsible for over a 1,000 US Service members being killed a process, and it has taken decades. The USS Liberty was one incident with Israel owning up to the act and paying some restitution that may seem light to Americans but in Shekels was a serious attempt at restitution by Israel. The second problem is the issue of Israel's nuclear arsenal. Libertarians, whatever they are, and the red liberals reborn as pro-Islam, maintain that Israel has the nuclear bomb, it conducted a secret program and now is believed by many experts to possess the 6th largest nuclear arsenal in the world. Many of Israel's nukes were thought to have been built before the 67 war. But Israel not only does not admit to possessing them, they have never threatened to use them. If you need to be slapped across the face to wake up to the very real possibility an Ayatollah might be chosen by Allah to use a nuclear device to purify the world, then consider yourself slapped, no charge. While Iran continues to commit human rights violations in excess aimed principally at modernists, and any infidel, their propagandists and those of the Muslim Brotherhood continue to spread the load that the real problem is anti-Islamic sentiments and Jews, they are building bombs to clense the world for Allah. How do I know? They say so. Jimmy Carter gave birth to Iran in 1979 by betraying the Shah because he was "despotic". Instead of trying to eradicate this monster, Barack Obama has decided to nourish it. Quite a tandem Carter and Obama make. This circumstance illustrates perfectly why elections and voting for the right candidate are important. Vote for the wrong person and you might invite catastrophes. A vote for Hillary Clinton in 2016 could open up a Pandora's Box which might include WWIII. What Obama is doing is no less naïve and foolish than what Neville Chamberlain did by trying to negotiate with Adolph Hitler in 1938. Who thought about Chamberlain when Britain was fighting for its existence? Who will think of Carter, Obama and Clinton when we fight for our own? But how do you educate a deluded, misinformed and ignorant electorate? You don't have to be a genius to recognize that this "deal" with Iran is a dangerous farce. This deal is like telling Al Qaida 'we will give you billions of dollars' if you stop threatening our safety and security. Iran will gladly take the money and use it to threaten our safety and security even more vigorously. Iran's "rap sheet" is unmistakable. For 36 years it's been promising to annihilate the Great Satan and the Little Satan. This deal does absolutely NOTHING to change that! To Nima Gholam Ali Pour -- Very comprehensive article, and thank you. I, as a retired public school teacher, compare the "spirit" of this nuclear deal for Iran with an important test that students must take to get into college -- but each student is given several days to complete the test at home, and each student is told he/she is responsible for grading their own test! I am watching the Lou Dobbs news show and he had a retired military guest on the show and this guy said he had talked to a number of politicians and they told him that they will not have enough votes to override a veto to stop President Obama's Iran deal. The only thing I have to say about it is as they come up for reelection vote every politician that voted for this insane and dangerous agreement with Iran out of office. Nima Gholam Ali Pour nailed it in the most concise summary. The only thing better would be for a debate between Ali Pour or Alan Dershowitz and President Obama vs the Obama's oratory without honest real time debate. Hard to argue with this summary. The leaders of the free world should go public with a message to the people of Iran that we will help them get rid of an administration of mad men and then work together to do exactly that. The free world needs to free ALL Christians and other minorities in the Middle East who are victims of these brutal murderous regimes. But humanitarian help does not seem to be on anyone's agenda. He's also downsizing the army! Iran has the sweetest one sided deal ever! The Gatestone commentariat have universally decried President Obama's apparent move to resolve the 70 year old "Middle East crisis" by, in effect, turning the area into atomic slag. Observers around the world rightfully question the motives, or even the sanity, of a world leader who would facilitate arming a nation determined to destroy Western Civilization. Realists are asking, "What makes you think the upcoming atomic holocaust will be limited to the Middle East?" Is there no way to stop this insanity? I used many of your points today in writing a letter to my Senator and Congressman hoping to influence them to oppose the Iran deal. I plan to stand with the Tea Party on Thursday August 27 at noon to oppose the deal. President Obama has just about 18 months left in which he believes he can create Pax Obama throughout the world. If only the Iranian Mullahs will do what they agree to in the "Deal", then peace will suffuse the world and the lion will lie down with the lamb. If only those reasonable and "sophisticated" leaders in Iran would come around to accepting all the non-Muslim parts of the world. And there is the rub. Obama really believes that by playing "nice" with the Supreme Council of Iran it will drop its Allah-inspired command to convert (or kill) the infidels. Our European brethren have only one desire: business with Iran and let the politicians sort the rest out! So reminiscent of Chamberlain who also was convinced that HITLER could be reasoned with. Where is the clock of the Bulletin of Atomic sciences now? How stupid is our government? We should tell Netanyahu go for it. They will take care of the whole thing and we come out clean. Barack Obama is like the Pied Piper, blindly followed by other powers that be. I can't understand why Americans seem so paralyzed in the face of all Obama is doing to undermine them and their country. Where does the buck stop? The dreadful treatment that the authorities in Iran mete out to its own people cannot go on forever. Evil cannot sustain itselfm history shows us this. Let us hope that the suffering there ends very soon. Money wise, the "agreement" gives $150 billion to Iran, with a lot more to come. In any monetary transaction, the middle men get a cut of the deal. 5% is classic, 10% is not unusual and the "fee" can get higher. Which means that somebody, or somebodies, or some institutions can be expected to get $7.5 billion, or $15 billion, or more. The good question is who? South Africa, arguably, built 8 'bombs 'but could never put together a suitable delivery 'platform'. Sanctions (with FBI entrapment) prevented this. The 'bomb' is easy. Dropping it, is not. It would be astonishing if Iran has not built a 'bomb' -- chances are they have. What they want now is to build 200 - 300 with workable 'platforms' -- this they cannot do with sanctions in place as they need to buy highly sophisticated computer hardware in large quantities. As soon as they get their money the buying will start. Thank you Ali Pour and Gatestone! This is an excellent compendium of many, but probably not all of the reasons Obama's deal with Iran should not be done. If it is done, there will be many more unintended consequences not yet fathomable. But regardless, there is only one good that could possibly come out of this deal...if it is done. One possible good result the author does not mention if Obama's deal is done, is an attack by Israel on Iran's nuclear sites. Can anyone say "Another 6 Day War"... totally setting Iran's nuclear ambitions back ... and permanently?! Interestingly, most of the nations who participated in the original Six Day War against Israel will not get overtly involved in this one, as they will be secretly cheering on the Israeli's. The surprising outcome then might be that Obama's legacy will have become 'He was the US President who got the Peace Process to finally work...sort of!". 'Working' in the sense that Egypt, Saudi Arabia, Jordan, et al will have finally come to understand that next to the US (under the leadership of anyone not named Obama), Israel is the greatest force for peace in the world today! I totally agree with the above article. This will encourage Iran to do more horrific acts and in my estimation, cause a major World War, the likes that the world has never seen. This was caused by Barack Obama's weakness and his despise for the United States and all free nations. He has caused all of this. His hands are dirty and bloody. And they will be really bloody in the future. He despises Western values. I wish people would all come out and say the truth once and for all!!! That is the TRUTH!!! Once again, in your usual fashion, you ask the $64,000 question? Why? Seems to be the eternally unanswerable question: You have eloquently stated the facts in this commentary surrounding this "unbelievable" deal that Barack Obama seems to value so highly. The judgments of our Lord are true and righteous in their completeness -- jointly and severally the words of our Lord are true; that which is good in detail is excellent in the mass; no exception may be taken to a single clause separately, or to the Book as a whole. God's judgments, all of them together, or each of them apart, are manifestly just, and need no laborious excuses to justify them. The judicial decisions of Jehovah, as revealed in the law, or illustrated in the history of His providence, are truth itself, and commend themselves to every truthful mind; not only is their power invincible, but their justice is unimpeachable. The writers at Gatestone Institute are keenly aware of this precept, and clearly parallel His ideology. On the sea of life there would be many more wrecks, if it were not for the divine storm-signals which give to the watchful a timely warning. The Bible used to be our Mentor, our Mentor, our Memento Mori, our Rememberancer, and the Keeper of our conscience, but clearly today so few men will take the warning which is so graciously given; none but real servants of God will do so -- Gatestone Institute is clearly one. Thank you again, it is a great joy to follow your leads daily. "In the worst-case scenario, walking away from the deal still leaves the world in a position of deterrence..."
I submit that this would be the best case scenario, not the worst. When a man's first priority in life is to lie about everything he becomes so good at it that he begins to lie to himself and to believe his own lies. It is a type of madness that other 'leaders' have had throughout history and it is a madness that possesses Barack Obama perhaps more than it has possessed anyone before him. "The names of those who enabled Iranian Nuclear weapons will be added, next to Hitler's, to the infamous list that will be framed in the Holocaust Museum dedicated to the victims of the Iranian Nuclear Bomb." Looking at America from Britain, it does seem that Barack Obama is aiming to leave office with a splash of victories. Apart from this Iran business, he also has underway the Transatlantic Trade and Investment Partnership with the European Union and the Trans Pacific Partnership, the details of which are being kept secret from both the American Congress and the people of Britain. Both of these agreements will together control a far larger part of the global economy which in itself is dangerous, but they will also give the right to international companies to undermine national legal systems. 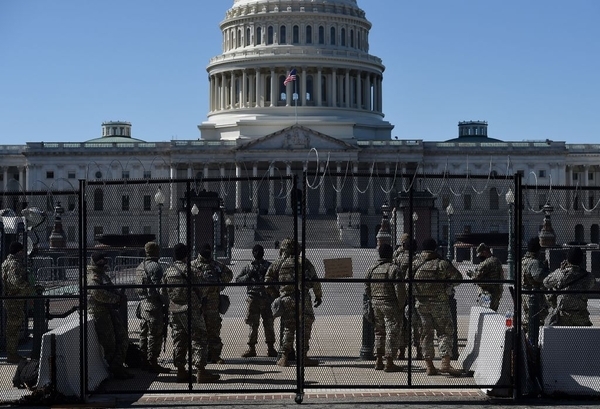 Just how much action is needed to remove rogue United States presidents? An act of Congress? Actually, it takes three distinct acts of Congress. The House of Representatives must send the Senate articles of impeachment. The Senate must convict the president at a trial conducted by the Supreme Court's Chief Justice. Finally, a law to remove the rascal must pass both houses of Congress. That clumsy process may have been a prime motivator of several historic assassination attempts. Now it is almost unthinkable. If the EU were not in dire economic straights, they would not have agreed to the deal; If China and Russia were not equally interested in more trade, more arm sales and destabilizing the USA they may well have kept out of such a deal. Barack Obama has a different agenda. Hard to credit a US President acting the way Obama is. He will bring war to America's soil, he will have harmed every US ally and empowered its protagonists. Obama guarantees WWIII with Iran deal. 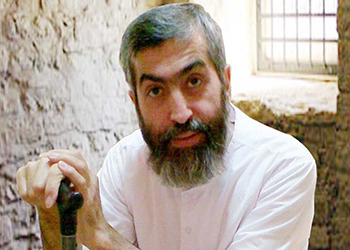 Ayatollah Hossein Kazamani Boroujerdi faces execution in Iran for speaking out against political Islam and advocating the separation of religion and state.